Tim Bratz is the CEO and founder of CLE Turnkey Real Estate, a real estate investment company that acquires and transforms distressed commercial and apartment buildings into high-performance investment assets. Tim began his real estate career in 2007 as a commercial broker in the competitive NYC real estate market, where he saw the true potential of real estate to transform lives. Working in real estate, Tim has learned how to build a passive business and create a residual income that allows him to live the lifestyle of his choice. 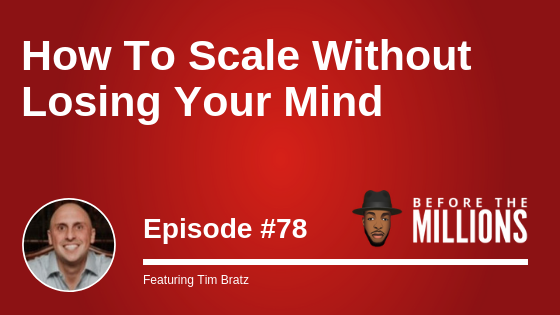 On today’s episode, we talk to Tim Bratz about how you can build a business around your ideal lifestyle. Tim breakdowns how he went from being a real estate broker to owning a 300+ real estate portfolio in Ohio, SC, GA, FL, and TX. You’ll learn why you should focus your energy on the faithful vs. fearful “what-ifs” when investing in real estate. Lastly, we discuss how you can build up your track record as an investor quickly and the 2 things you need when raising private capital for real estate investments.